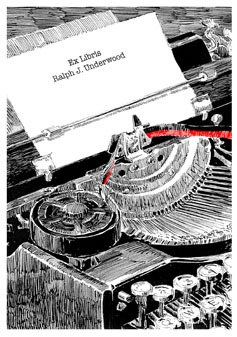 A few individualized book-plates "made to order"
Bookplates are placed inside the covers of books to designate ownership. Rather than buying generic ones where you fill in the blank with your name, you can have one made to order. The ones above were made for a man who loved the now obsolete German hadwritten script. 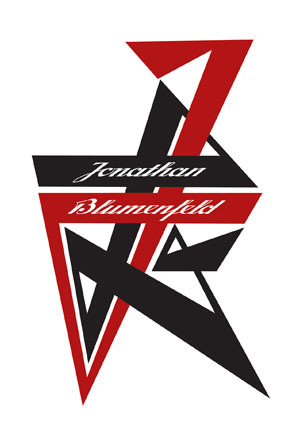 His initials (JB) appear as the single element of design. 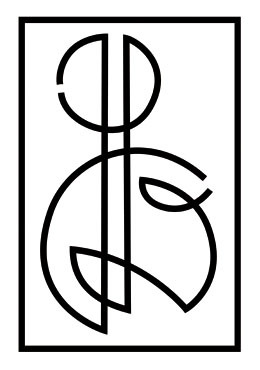 A few of the designs were also inspired by the Russian Constructivist aesthetic. Wendy Moran as chef, Mark Sterns as hiker (over mountains and rivers) and Ralph Underwood, a writer. 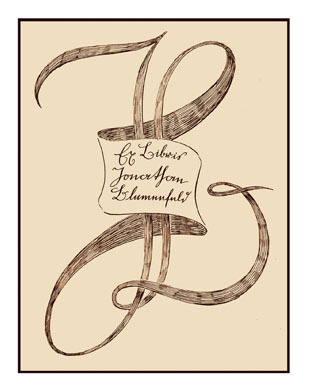 Sam's bookplate were affixed to his books at Annapolis. 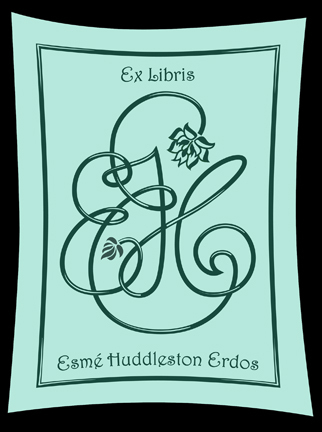 Esme had a simple floral pattern decorate her bookplate. RS had a library containing volumes of a particular interest. Tom is a pen-collector and professor of German. 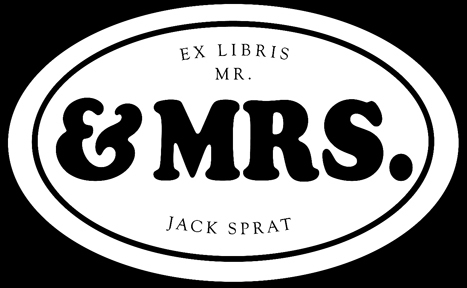 His bookplate combines the two. 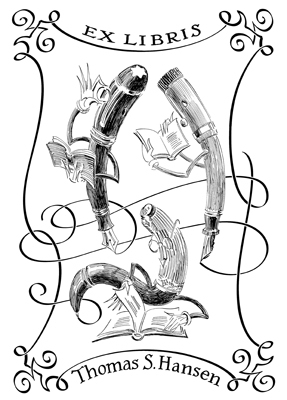 Recently I took a break from "real" clients and worked on a project creating bookplates for imaginary ones. These all were designed for people in the food service industry. 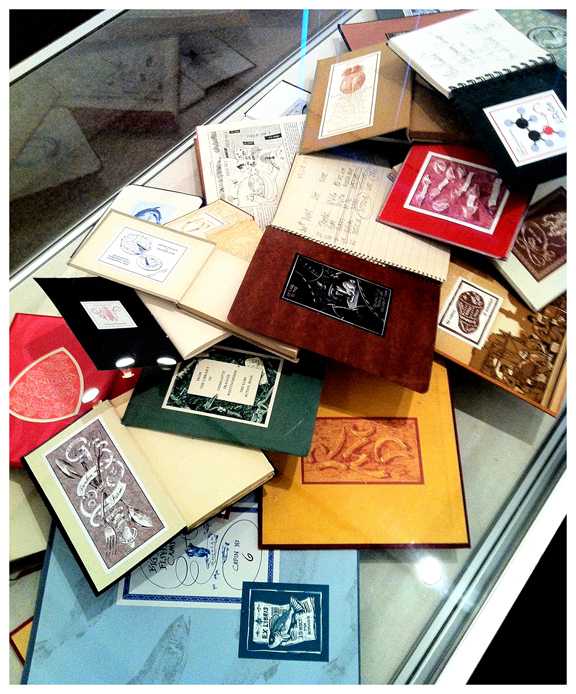 The 50 designes were affixed to books and put on display at a local gallery as part of an exhibition they entitled FEAST. Some examples are shown in detail below. 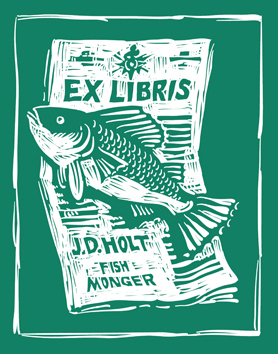 John is a famous bartender in Boston, JD Holt, a fishmonger. 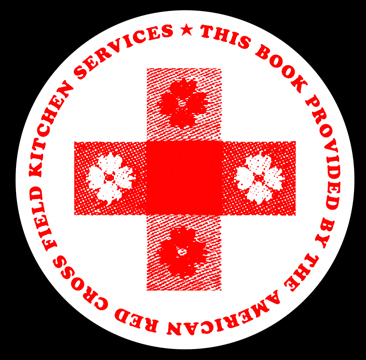 The quintessential tablecloth pattern is transformed into the Red Cross symbol. 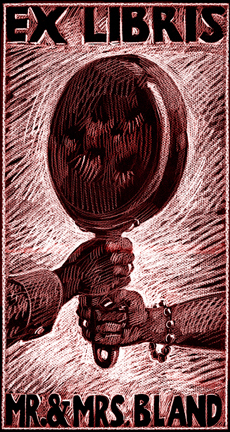 Ivan Denisovich's plate shows the soup he cosumes in Solzhenitsyn's novel. 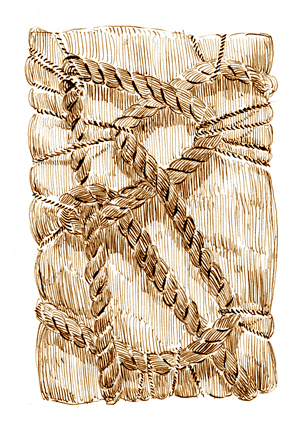 I also designed it to look as if it were created in the Gulag: crudely carved as a woodcut. 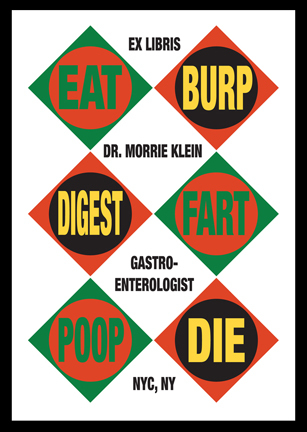 Robert Indiana's pop art painting "Eat Die" was expanded to include everything inbetween for the bookplate for dear Dr. Klein. Perhaps if you follow the USDA's food pyramid you wouldnt need Dr. Klien's services. As part of the display I chose books that "fit" the bookplate. A spiral bound cook book for the chef, heavy leather bound books for the cigar-smoker. 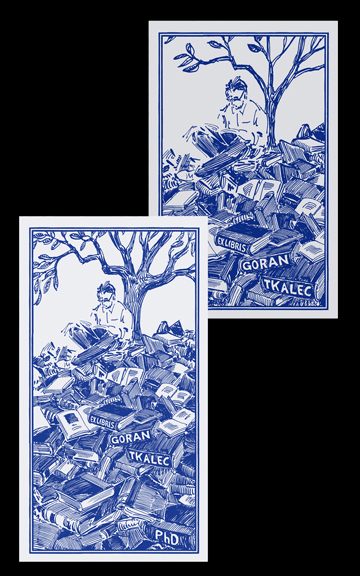 Often times I showed two bookplates on one book as if the book transferred ownership from one person to another. 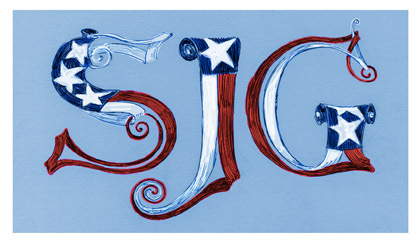 The son inherits his fathers book, as well as the bookplate design with the addition of the "Jr" in the smoke that spells out their shared initials. 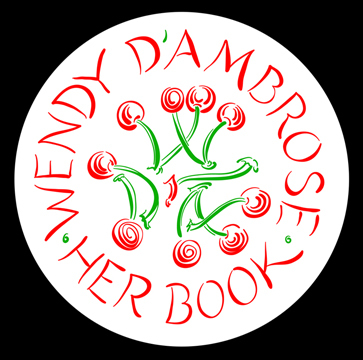 The book bearing the happy plate of the "Yankee Doodle Farm" has been tranferred to the new owners of that land and library, a collective farm growing one and only once crop. 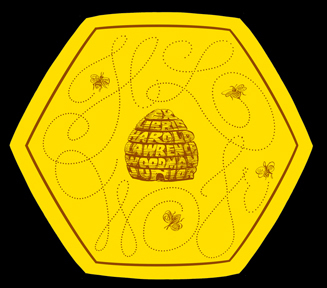 Bees trace the initials on a beekeeper's bookplate in the shape of a honeycomb. 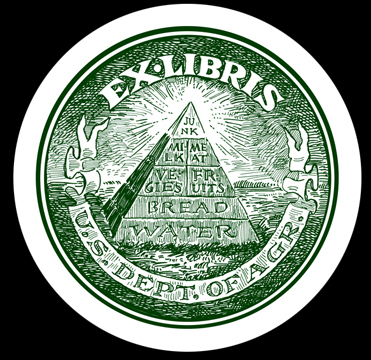 The bookplate for the Borden farm incorporates the tools used both in eating and growing their food. Other personalities from the FEAST collection included "real" people. Though not my real clients, I borrowed their famous names and occupations for this body of work. Jenny Craig's tape measure spells out her initials as it meaures the perfect hourglass figure. 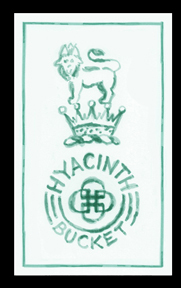 The famously snobbish food critic sticks out his "sophisticated" tastebuds for all to admire....especially Hyacinth Bucket who has adopted the Royal Doulton cearmics logo for her own. 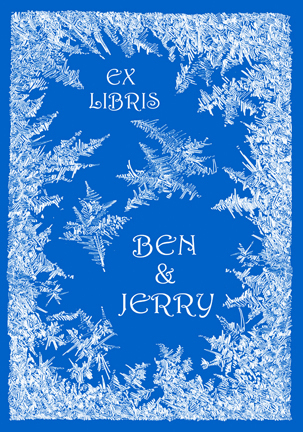 Ice Cream creators Ben and Jerry have their bookpate framed with a delicate frosty pattern. From fiction we find the following. 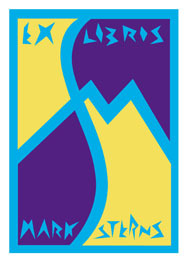 The Sprats known for their eating habits which are reflected in their typograhy. Another famous, or infamous couple were the Mr and Mrs Bland, who killed than later consumed their tennant Raoul as seen in the film "Eating Raoul"
I am sure the Union of Scullery Maids would have rules against cleaning the Bland's skillet. 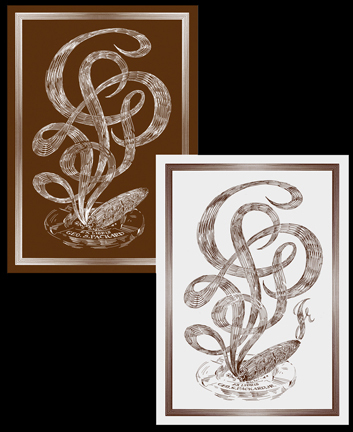 Not all the bookplates in the feast show were imaginary, some were real. 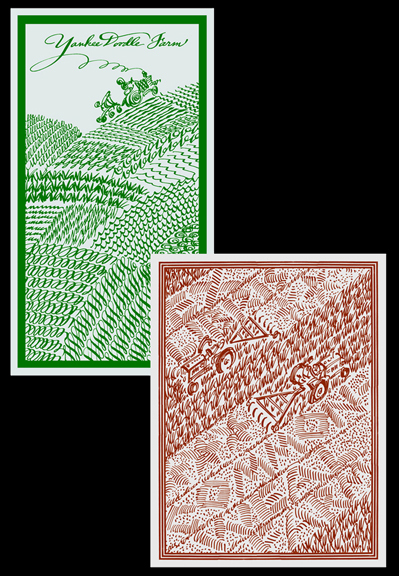 Cherries were the focal point of these two bookplates. One of a cocktail waiter the other of a woman who just simply loves cherries. Other REAL clents included individuals in this family of three. 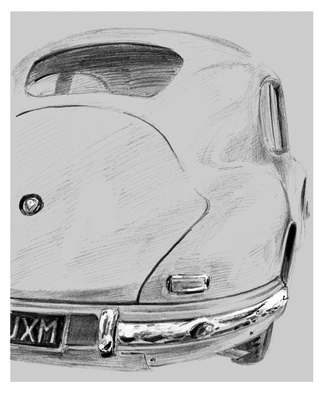 The interests of the parents are shown in the imagry of gardens and classic cars. 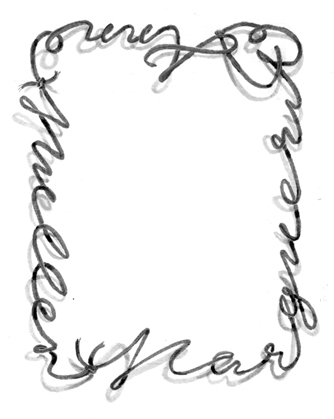 Their daughter's bookplate was simply her name written with a string border casting a simple shatow. 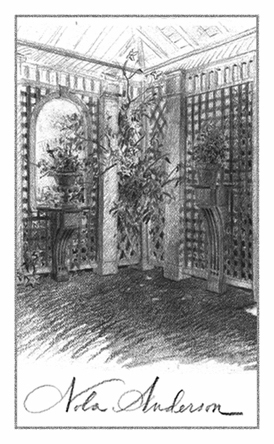 The empty area inside was meant for her to use for one of her doodles. 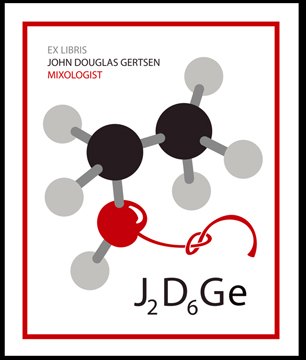 One client gave his partner a bookplate when he graduated from college. 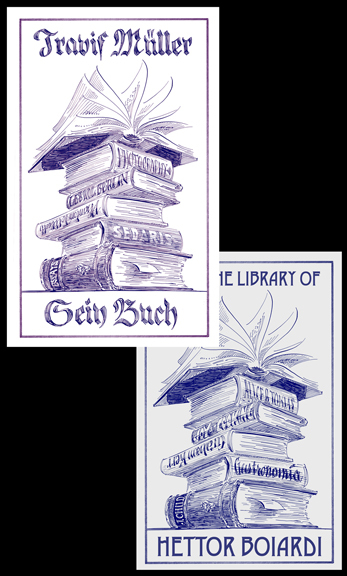 years later, upon getting the PhD we enlarged the origial bookplate to include the thousands more books in his ever-increasing library, one of which has the new subtitle to his name. The tree, too, has grown along with the man and the pile of books. Book titles on these similar designs become as unique as the owners. 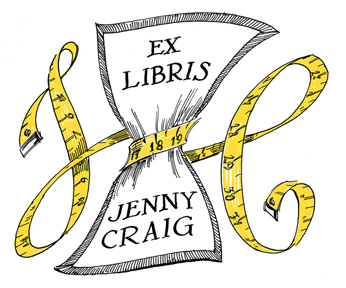 If you are a book lover, let's design a bookplate together!